Our faculty are actively engaged in research and publish in a wide range of areas. Below are links to selected recent publications. You can also follow our department on ResearchGate. The Patagonian Sublime provides a vivid, accessible, and cutting-edge investigation of the green economy and New Left politics in Argentina. 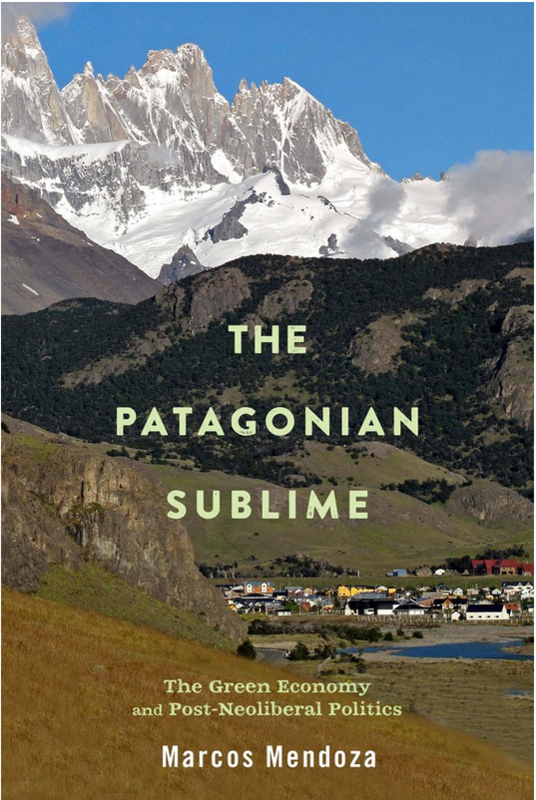 Based on extensive field research in Glaciers National Park and the mountain village of El Chaltén, Marcos Mendoza deftly examines the diverse social worlds of alpine mountaineers, adventure trekkers, tourism entrepreneurs, seasonal laborers, park rangers, land managers, scientists, and others involved in the green economy. Mendoza explores the fraught intersection of the green economy with the New Left politics of the Néstor Kirchner and Cristina Fernández de Kirchner governments. Mendoza documents the strategies of capitalist development, national representation, and political rule embedded in the “green productivist” agenda pursued by Kirchner and Fernández. Mendoza shows how Andean Patagonian communities have responded to the challenges of community-based conservation, the fashioning of wilderness zones, and the drive to create place-based monopolies that allow ecotourism destinations to compete in the global consumer economy. The work of considering, imagining, and theorizing the U.S. South in regional, national, and global contexts is an intellectual project that has been going on for some time. Scholars in history, literature, and other disciplines have developed an advanced understanding of the historical, social, and cultural forces that have helped to shape the U.S. South. However, most of the debates on these subjects have taken place within specific academic disciplines, with few attempts to cross-engage. Navigating Souths broadens these exchanges by facilitating transdisciplinary conversations about southern studies scholarship. The fourteen original essays in Navigating Souths articulate questions about the significances of the South as a theoretical and literal “home” base for social science and humanities researchers. They also examine challenges faced by researchers who identify as southern studies scholars, as well as by those who live and work in the regional South, and show how researchers have responded to these challenges. In doing so, this book project seeks to reframe the field of southern studies as it is currently being practiced by social science and humanities scholars and thus reshape historical and cultural conceptualizations of the region.. In 2012, an interdisciplinary team of scientists at the University of Oxford reported that – based on their clinical experiment – the beta-blocker drug, Propranolol, could reduce implicit racial bias among its users. Shortly after the experiment, an article in Time Magazine cited the study, posing the question: Is racism becoming a mental illness? In Are Racists Crazy? Sander Gilman and James Thomas trace the idea of race and racism as psychopathological categories., from mid-19th century Europe, to contemporary America, up to the aforementioned clinical experiment at the University of Oxford, and ask a slightly different question than that posed by Time: How did racism become a mental illness? Using historical, archival, and content analysis, the authors provide a rich account of how the 19th century ‘Sciences of Man’ – including anthropology, medicine, and biology – used race as a means of defining psychopathology and how assertions about race and madness became embedded within disciplines that deal with mental health and illness. For decades, stand-up comedy has been central to the imbrication of popular culture and political discourse, reshaping the margins of political critique, and often within the contexts of urban nightlife entertainment. 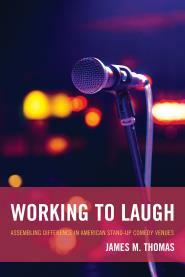 In Working to Laugh: Assembling Difference in American Stand-Up Comedy Venues, James M. Thomas (JT) provides an ethnographic analysis of urban nightlife sites where this popular form of entertainment occurs. Examining the relationship between the performance, the venue, and the social actors who participate in these scenes, JT demonstrates how stand-up venues function as both enablers and constrainers of social difference, including race, class, gender, and heteronormativity, within the larger urban nightlife environment. JT’s analysis of a professional comedy club and a sub-cultural bar that hosts a weekly comedy show illuminates the full range of stand-up comedy in the American cultural milieu, from the highly organized, routinized, and predictable format of the professional venue, to the more unpredictable, and in some cases, cutting edge format of the amateur show. Mark Frezzo explores the sociological perspective on human rights, which he shows to be uniquely placed to illuminate the economic, political, social, and cultural conditions under which human rights norms and laws are devised, interpreted, implemented, and enforced. Sociologists treat human rights not as immutable attributes but as highly contested claims that vary across historical time and geographic space, and investigate how human rights can serve either to empower or to constrain social actors, from large societies to small communities and identity groups. 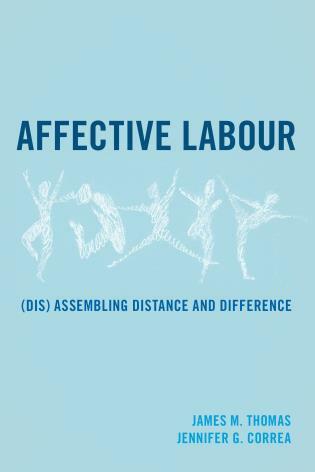 Frezzo guides readers through the scholarly, pedagogical, and practical applications of a sociological view of major debates such as foundationalism vs. social constructionism, universalism vs. particularism, globalism vs. localism, and collective vs. individual rights. 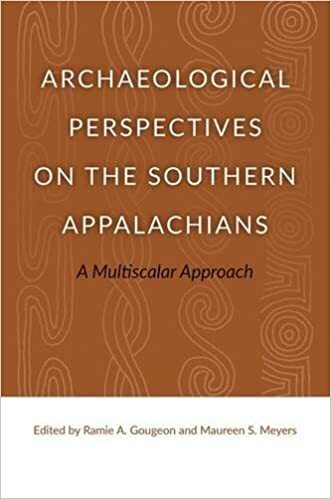 In Archaeological Perspectives of the Southern Appalachians, Ramie A. Gougeon and Maureen S. Meyers have brought together a dozen archaeologists to delineate multiscalar approaches to Native American sites throughout southern Appalachia. The essays range in topic from ceramic assemblages in northern Georgia to public architecture in North Carolina to the frontiers of southern Appalachia in Virginia. Throughout the volume, the contributors discuss varying scales of analysis in their own research to flesh out the importance of maintaining different perspectives when evaluating archaeological evidence. In this sweeping regional history, anthropologist Robbie Ethridge traces the metamorphosis of the Native South from first contact in 1540 to the dawn of the eighteenth century, when indigenous people no longer lived in a purely Indian world but rather on the edge of an expanding European empire. Using a framework that Ethridge calls the “Mississippian shatter zone” to explicate these tumultuous times, From Chicaza to Chickasaw examines the European invasion, the collapse of the precontact Mississippian world, and the restructuring of discrete chiefdoms into coalescent Native societies in a colonial world. The story of one group–the Chickasaws–is closely followed through this period. 2018. Marcos Mendoza and Emily Warner. “Financial Media and the Politics of Difference: Argentine Histories of the Greek Debt Crisis, 2010-2015.” Journal of International and Global Studies 10 (1): 91-108. 2017. Miguel Centellas. “Does ‘Ethnic’ Voting Explain Electoral Support for the MAS? A Multivariate Analysis Using Municipal-Level Data.” Revista Boliviana de Ciencia Política 1 (1): 51-78. 2017. John Green. “Community Development in the Era of Large-Scale Data: Integrating Quantitative Data and Community Engagement.” In S. Kenny, B. McGrath, & R. Phillips (eds. ), Routledge Handbook of Community Development. Routledge, Taylor & Francis. 2017. Robbie Ethridge. “Communication Networks in the Mississippian World at the Time of Soto.” Gregory A. Waselkov & Marvin T. Smith (eds. ), Forging Southeastern Identities: Social Archaeology of the Mississippian to Early Historic South. University of Alabama Press. 2017. Miguel Centellas. “Bolivian Politics: Continuities, Changes, and Contradictions.” In Harvey F. Kline, Christine J. Wade, and Howard J. Wiarda (eds. ), Latin American Politics & Development, 9th ed. Westview Press. 2017. Jodi Skipper, K. Green, and Rico D. Chapman. “Public History, Diversity, & Higher Education: Three Case Studies on the African American Past.” In Michele Grigsby Coffey & Jodi Skipper (eds. ), Navigating Souths: Transdisciplinary Explorations of a U.S. Region. University of Georgia Press. 2017. Kirsten Dellinger, Jeffrey T. Jackson, Kathryn McKee, and Annette Trefzer. “Interlocality and Interdisciplinarity: Learning from Existing Models of the Global South.” In Michele Grigsby & Jodi Skipper (eds. ), Navigating Souths: Transdisciplinary Explorations of a U.S. Region. University of Georgia Press. 2017. Carolyn Freiwald. “Barton Ramie and in-migration to the Belize River Valley: Strontium isotopes and burial patterns.” In M. Charlotte Arnold, Christopher Beekman, and Grégory Pereira (eds. ), Ancient Mesoamerican Cities: Populations on the Move. University Press of Colorado. 2017. J. Hoggarth, Carolyn Freiwald, and Jaime Awe. “Evidence for Classic and Postclassic population movement at Baking Pot, Belize.” In M. Charlotte Arnold, Christopher Beekman, and Grégory Pereira (eds. ), Ancient Mesoamerican Cities: Populations on the Move. University Press of Colorado. 2017. Mark Frezzo. “Why a Sociology of Human Rights?” In Louis Esparza, Keri Iyall Smith, and Judith Blau (eds. ), Of the People, By the People, For the People. Routledge. 2016. Maureen Meyers. “The House that Trade Built: Exchange Before and After the Collapse of Mississippian Chiefdoms.” In Ronald K. Faulseit (ed. ), Beyond Collapse: Archaeological Perspectives on Resilience, Revitalization, and Transformation in Complex Societies. Southern Illinois University Press. 2016. Bettina Arnold & Matthew L. Murray. “Two Hallstatt Burial Mounds in the Hohmichele Group in the Speckhau, Markung Heiligkreuztal, Gde. Altheim, Kreis Biberach.” In Dirk Krausse, Manuel Fernández Götz, Leif Hansen, and Inge Kretschmer (eds. ), The Heuneburg and the Early Iron Age Princely Seats: First Towns North of the Alps. Archaeolingua. 2016. Robbie Ethridge. “European Invasions and Early Settlement, 1500-1680.” In Frederick Hoxie (ed. ), The Oxford Handbook of American Indian History. Oxford University Press. 2016. Jeffrey T. Jackson, Kirsten Dellinger, Kathryn McKee, and Annette Trefzer. “Interdisciplinary Perspectives on the Global South and Global North.” In Gregory Hooks (ed. 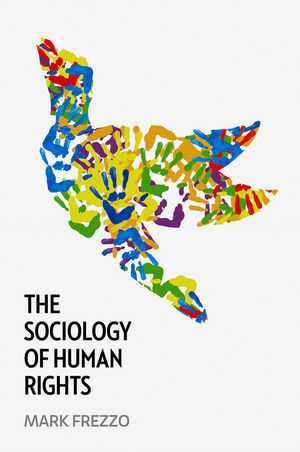 ), Sociology of Development Handbook. University of California Press. 2016. Matthew L. Murray. “Landscapes of Ancestors—The Structuring of Space around Iron Age Funerary Monuments in Central Europe.” In Erica Hill & Jon Hageman (eds. ), Ancient Ancestors: The Archaeology of the Revered Dead. University Press of Florida.